Play At Home Mom LLC: A Year of YES!! Probably the most controversial element on Play at Home Mom is our YES ALBUM. 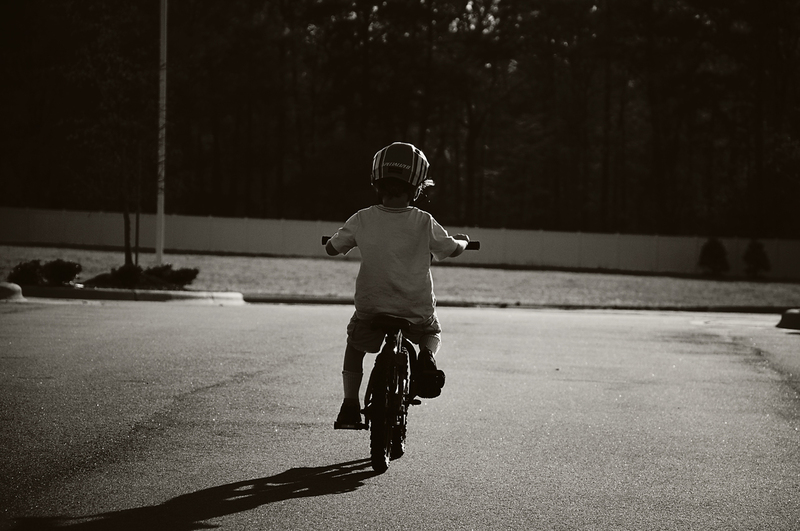 We try to inspire parents to connect with their children through play, but we also try to inspire parents to let go a bit, say yes more often, and embrace their children’s childhood. It’s definitely not for everyone, and we often get some “brutally honest” feedback – and that’s OK – but there seems to be a misconception about embracing the word YES, and eliminating NO. Our YES VIDEO was an attempt to dispel the notion that saying YES is just being permissive and lazy. Another misconception we find is that saying YES is preceded by a tantrum and that we just say YES to appease our children. This couldn't be further from the truth. If there is no good reason for a no, then it’s a yes. Simple. Its not for everyone, it can be confusing, and its hard not to make assumptions based on a picture and a YES caption, we understand that. 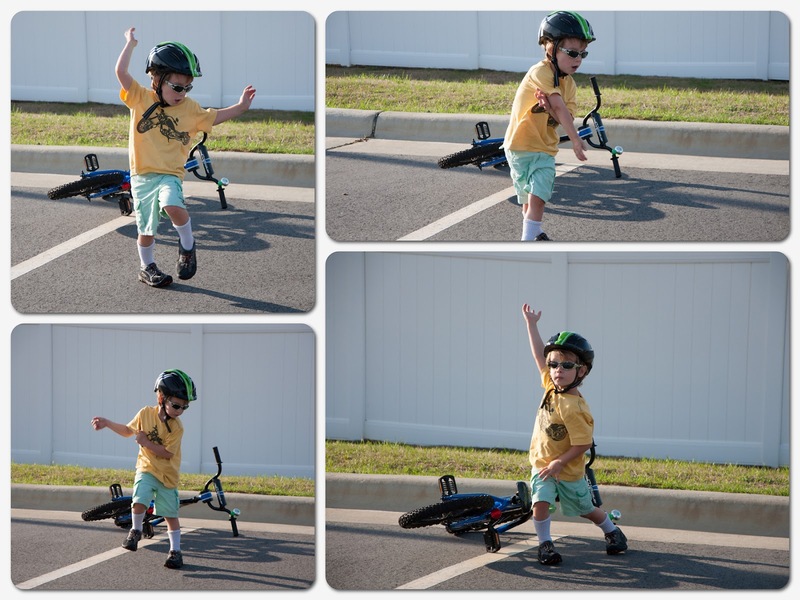 Almost a year ago, my son asked me to take the training wheels off of his bike….YES. 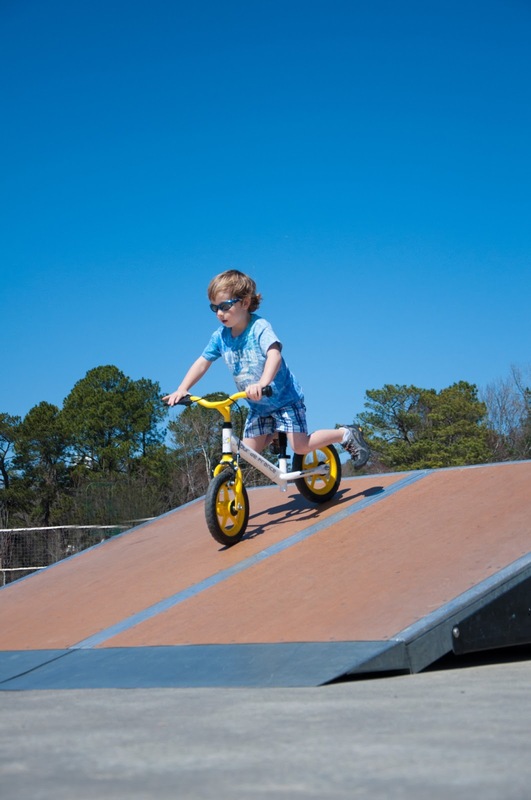 It was at that time, 5 months shy of his fourth birthday, that he decided he was going to ride without training wheels – and he did. Woo-Hoo!! He was so proud of himself. At that time, he wanted someone running alongside him, and was unable to start or stop on his own. The next YEAR went something like this….. He started to gain confidence as the months went by. “Mommy, can you run on the other side of the road, not next to me?" "Mommy, can you ride your bike while I ride mine?" “Look, Mommy, my feet touch all the way. Look, Mommy, I can stop all by myself. Look, Mommy, I can start all by myself, too. Yes can be tough to say in many instances. It can be a challenge to stay mindful that our children have moments when they are feeling less than confident. When we support our children through the process (even if its a year long) by saying YES, we leave them feeling respected, empowered, confident. Thank you Little Hearts Books for the photo. 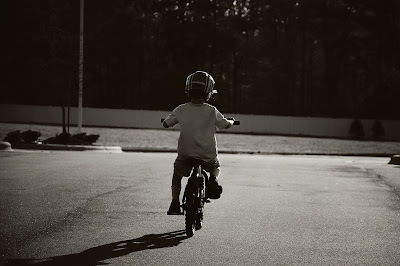 My son is now (I think....for the most part) 100% confident on his bike. 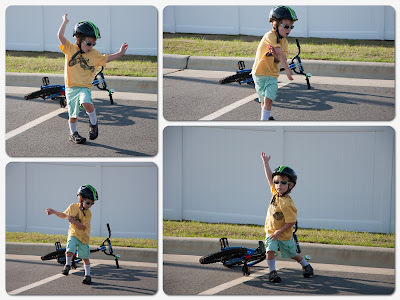 And here is a montage of his "celebration dance" to prove it. We started with the balance bike but otherwise exactly how my son learned to ride. He still stops with his feet but now we ride together and he's finally coasting but yes yes yes yes is what got us here! But let's not forget the nos....no I won't tell you, you did this yesterday so I won't help you today....no, I won't refuse to run beside you in the hottest part of the summer while it seems like every other parent on planet earth is sitting on a park bench...no, I won't give away your tricycle and say you are too big for it anymore....no I won't let you crash so you'll learn a lesson about listening to me...no I won't panic when you do fall....and more! Definitely! I was going to include "What I could have said" in the post, but then I thought it might get a bit wordy and confusing. How about "no I'm not going to buy you a balance bike, because you already have a bike and some little boys never get bought bikes... ever" I don't like to see purchases just for the sake of purchases... I hope when your son realised he didn't actually need two bikes you gave away the balance bike to a small child who would really appreciate it. We live in a state of abundance. We all have more than we need. We all want things we don't need. You can talk to your child about having more than we need but it wont make as much sense when it's just talk. Put it into action and then see how much they learn. We are here on this earth to learn right from wrong but if we aren't allowed to experience it and make mistakes we wont learn as quickly. Kids need opportunities to fail so they can learn faster. had she not purchased the second bike he may not have learned this lesson early on. Besides it's not the exact same kind of bike. We all own variations of the same kinds of things. Some examples would be 1.) A desktop computer and a laptop computer AND a tablet. 2.) An economy car for long trips and a 4x4 truck for camping for hauling large things AND a motorcycle (for fun). 3.) Shoes for sports, shoes for yard work, shoes for fancy parties, shoes for casual. The point is that we all do it. The trick is to learn from our choices. Not allowing children to make the same choices robs them of learning why it could be good or bad. 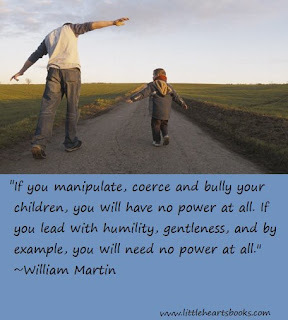 If they don't learn these lessons while as children they will have to learn them when they get older and the lessons cost more the older they get. I love this so much. I think what you're trying to get through to parents is that we should try not to say no by default. I mean how many times do I find myself saying no because I just don't feel like it? Since reading about your yes challenge year, I've been more conscious of why I'm saying no and trying to say yes more often. I want to turn it up a notch and make it a challenge too. I'm going to check into getting a balance bike too. Thank you so much for all that you do. Could you please refer me to your posts about woodworking? What were the steps you took in introducing your son to woodworking? What do recommend we start with if we can't go out and buy everything you have all at once? Since my son was an infant and able to crawl to the drill, we allowed him to explore it (and other tools as well - even a saw). I spent a lot of time guiding him to touch and explore and eventually use tools safely. I just suggest following his lead. What tools is he interested in? Or just pick one and go for it.....until you feel confident enough to introduce another one. Enjoy the journey. I recently had a "yes day" with my four-and-a-half year old daughter. I've recently started working part time and she's been having a rough time lately, with very uncharacteristic tantrums and meltdowns, and none of us have been dealing with that very well. I decided that we needed a day together, so I told her we'd do something special after preschool on Friday. But, I thought, Do I hate the inflatable place more than she hates me going to work? Yes! I will take you! We ended up oversleeping and blowing off school, spent several hours bouncing (her first time on the big bounces, and she did great climbing and sliding and bouncing), then went out for lunch, and then frozen yogurt. And it was wonderful. No tantrums, no meltdowns, no tears. She was her old self, and it was a joy to spend the day together. What a beautiful story. Thank you for sharing it. I really appreciate you posting this. There are many times I tell my children "yes" and get "the look" from other parents. Telling our children yes instills confidence in them and your post about it reminds me to have confidence in myself and my parenting choices. What is your take on yes's regarding food? It depends on the situation. In reference to food I feel its my job to offer my son healthy options and let him choose what and how much of it he eats. We dont keep a lot of junk in the house....only popsicles really. My son knows he may have one a day - IF he asks for one. I dont mind him eating it because he eats so healthy otherwise and I think desert can be a part of a healthy diet. Sometimes he wants one after breakfast. I dont care WHEN he eats one, because he knows its his popsicle for the day. If he asks I make sure he knows that he is making the choice to have his popsicle NOW - as opposed to later. Sometimes he asks for another one later. I remind him that he already had one and that he may have another one tomorrow....then offer other options (a green smoothie is great because its still "sweet" but is made with nothing but goodness). This is such an inspiration! Already I am trying to apply this principle, even though my daughter is only eight months old. If there's no real good reason for her not to do something, who benefits when I say no? Certainly not her. Thank you!